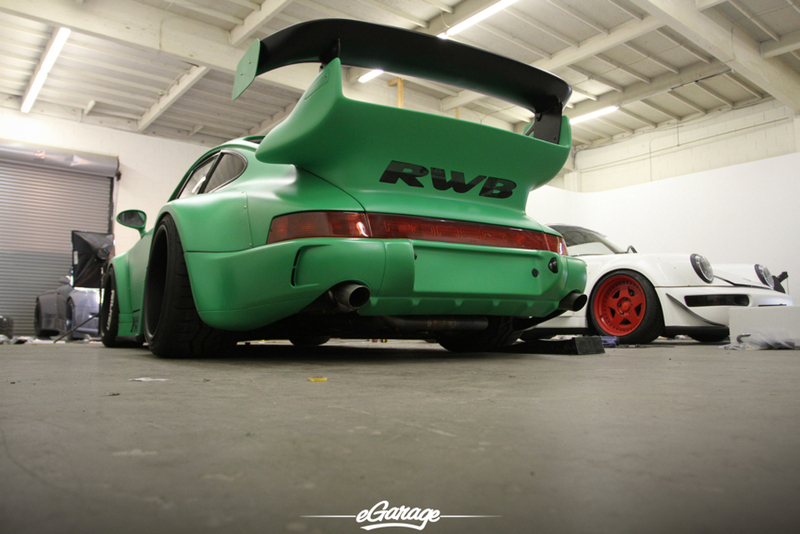 RWB – RAUH-Welt Begriff. 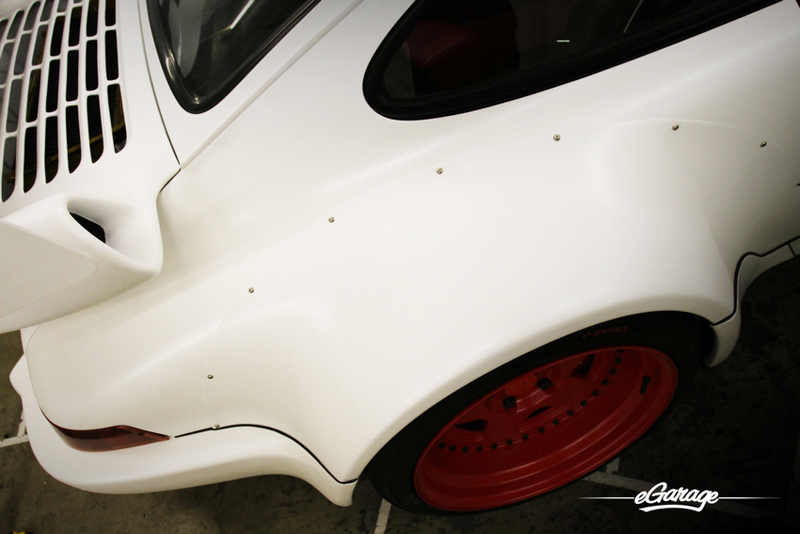 Japanese Tuner Nakai-San has gone global with the new and fresh RWB USA. 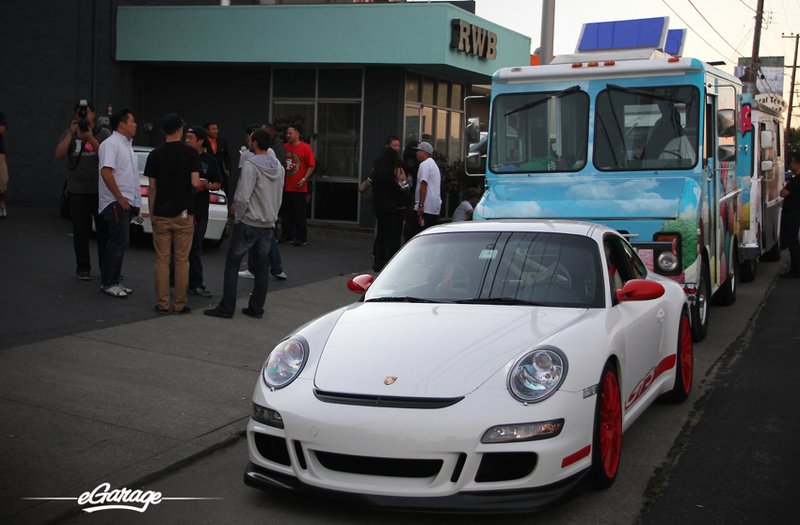 We kept hearing and reading about RWB so when our friend Mark Arcenal (Fatlace) invited us to see his RWB USA operation we made the 15 minute northbound journey from our own eGarage California HQ to see what the hype really is all about. To make a long story short, honestly, words, articles and videos don’t do these cars, and their raw beauty much justice. Frankly, the few videos circulating the web (while really good in production quality) don’t do Nakai-San’s workmanship much justice either. You have to see Nakai and his work in person. You have to touch the RWB Cars, feel their presence and get a sense of proportion, things that web photos and videos cannot truly translate. To make a long story longer keep reading . 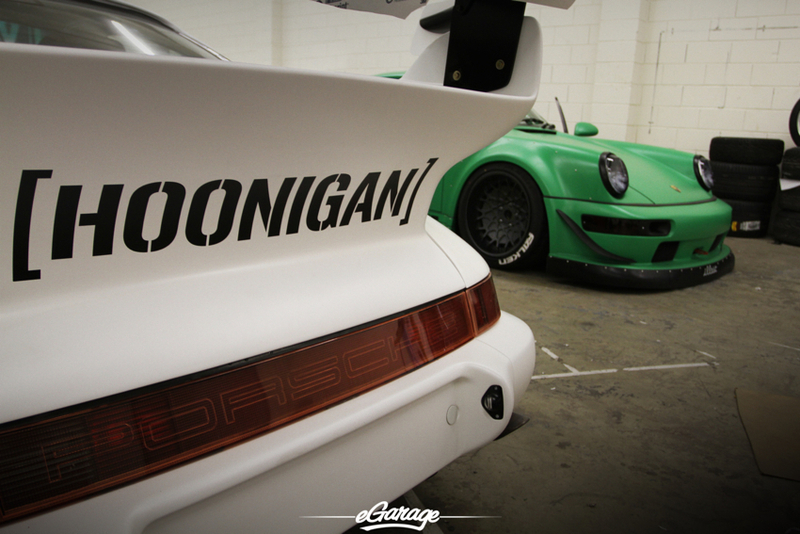 . .
We thought eGarage was going in to see the first few RWB Porsches in the United States, and when Mark welcomed us into his Paddock he said “Come over here guys, I’d like to introduce you to Nakai.” Well, we weren’t really ready for all that but there he was! 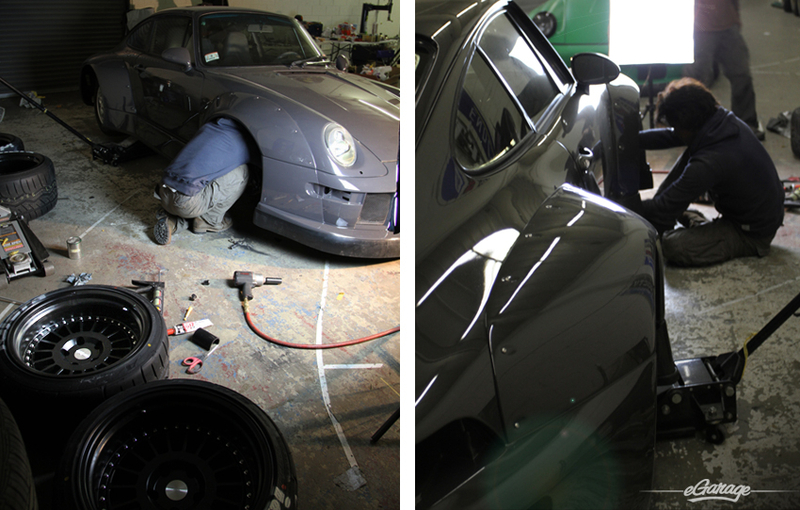 Nakai-San himself smoking a Winston, drinking a Stella and peering into the new 2011 body for a grey 993 RWB that sat 15 feet away from him. It appeared that he was analyzing, studying and absorbing the car’s energy. This was truly a treat! Nakai-San is everything we had read about and so much more. To see him work and in action was sensational. He measures with his fingers, he reacts with unorthodox physical quickness and strength and although it seems there is no method to his Porsche madness he is in fact organized and methodical… ALWAYS in deep thought! What does Nakai’s RAUH-Welt Begriff mean? 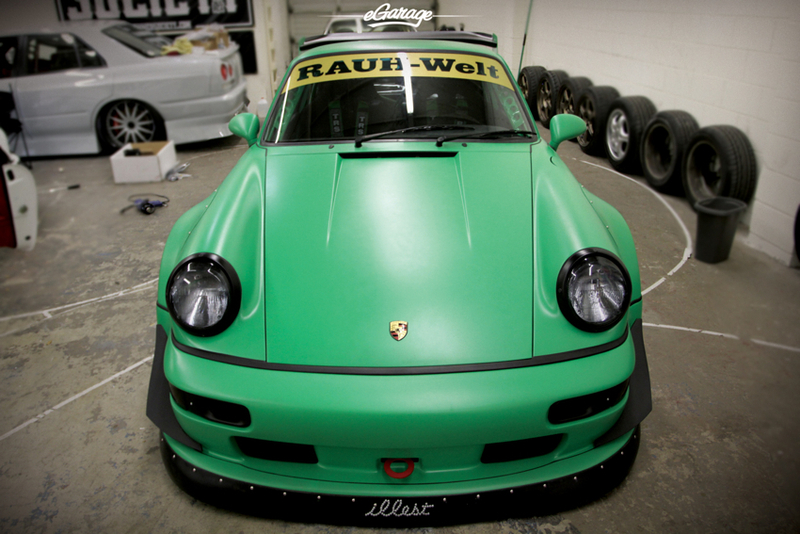 RAUH-Welt means “Rough World” and it has been so for the last 15 years. This has come to be known as RWB. Nakai refers to his owner’s cars as treasures! 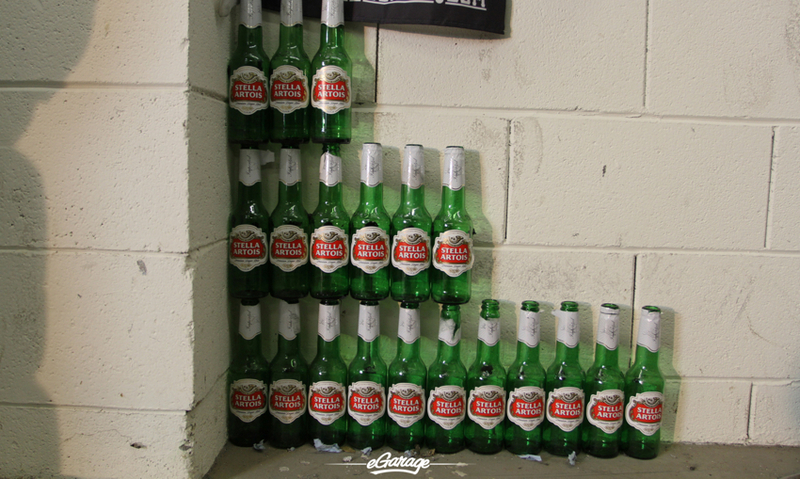 The fit and finish is all from his mind, his experience. There is no photoshop rendering, no modern computer design models, it all comes from Nakai-San. However, he does get some help from Rotiform and Fifteen52 in the wheel department. 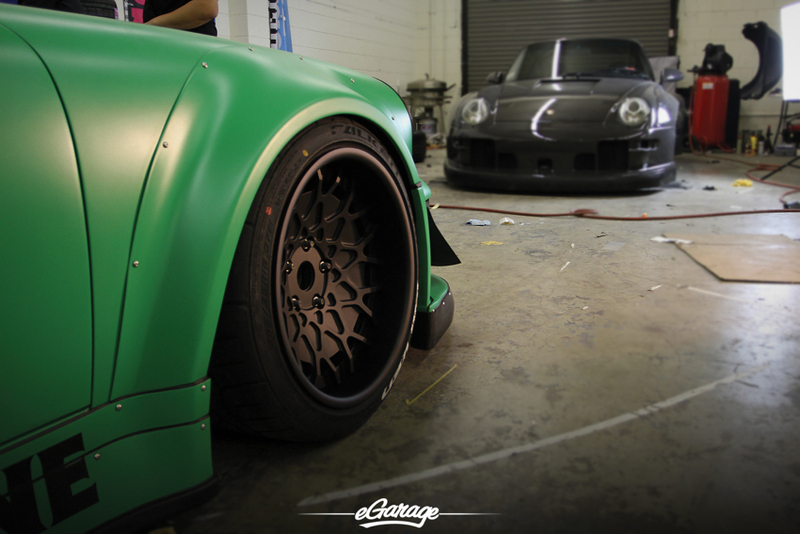 This will be Nakai-San and RWB’s first time at SEMA in Las Vegas (see eGarage coverage). 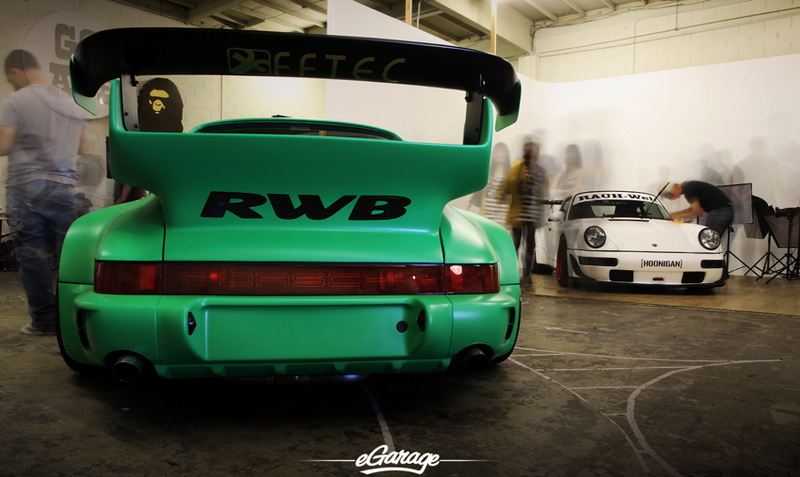 For 2011, SEMA has invited 3 RWB Porsches to be showcased. 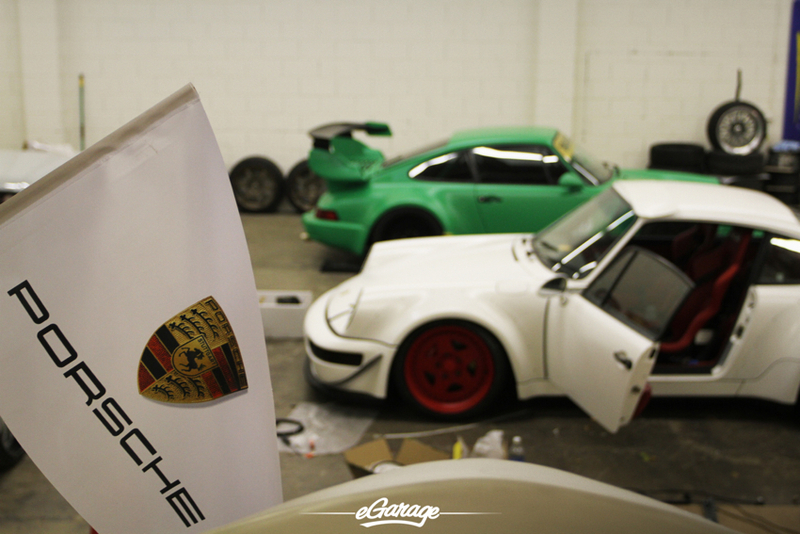 The Green RWB965 Pandora One, the Grey RWB993 Pandora Two and the white/red RWB965 Hoonigan. Each car has its own remarkable personality, each of which Nakai has given a personal touch. Throughout the evening we listened to songs from the 80’s on the Fatlace HQ Pandora station which is how the first two RWB’s got their names. Well that’s what we guess unless Pandora has another meaning. 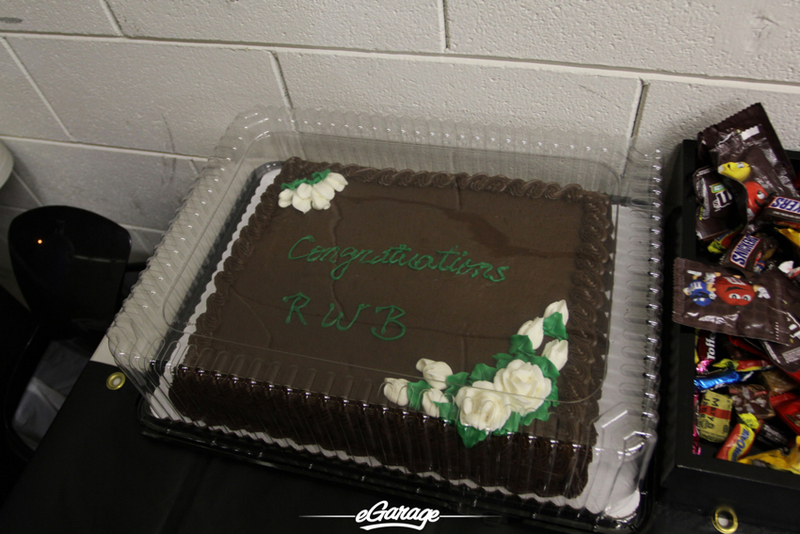 The following night we were invited back to a friends and family grand opening of RWB USA. With the trio of cars completed for the 2011 SEMA Show folks attended this mellow pre-SEMA unveiling and welcomed with an ice cream truck, a taco truck and chocolate cake! Amidst the frenzy of people who had never seen the RWB cars before today Nakai-San was still working in between a chaotic meet and greet. Finally before we left Nakai told us “…in 2012 I am prepared to do an RWB 997GT3 RS, I really want to do this.” An RWB 997 GT3RS would turn the Automotive world on its side!